Family Rescued From House Fire in Md. 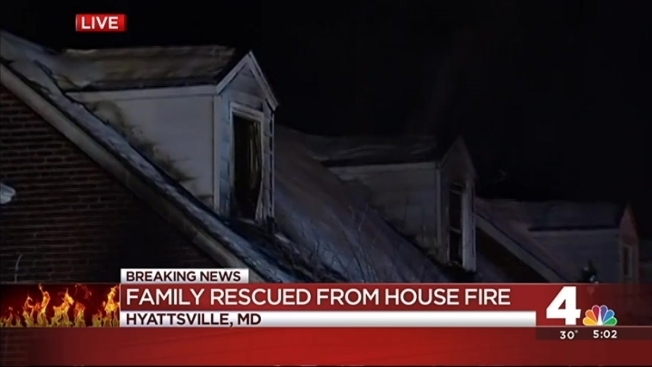 An adult and an infant suffered minor injuries after a fire tore through their Hyattsville home early Monday morning. Firefighters were called to the 6900 block of 23rd Place just after 1 a.m. The family was taken to an area hospital for observation. Fire officials say the fire was fueled by natural gas at one point, but crews had a hard time finding the gas line in the deep snow.